We are nestled in the heart of the community, adjacent to Brockville School in a sunny north-facing spot with great city views. We are a three-teacher team with an equity-funded support worker, providing an inclusive mixed age session which supports children to be independent and confident lifelong learners. Tamariki flourish in an environment with a programme reflecting social competency, biculturalism and sustainability/kaitiakitanga. 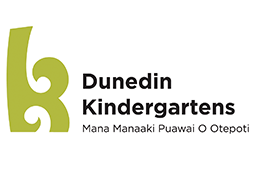 We pride ourselves in being welcoming, friendly and inclusive and this is reflected through the tamariki engagement within the Kindergarten.